When it comes to planning a trip to the most magical place on earth, choosing where to eat is a big decision, and one that has to be made quite far in advance if you want to snag all the right places. 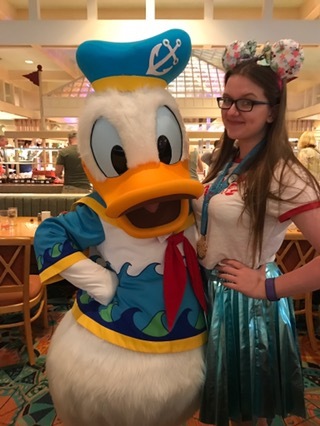 I love planning for advanced dining reservations (ADRs), and I’m always on the hunt for somewhere new and different to try; I like to believe that one day I’ll have eaten in every restaurant on Disney property, but I’ll always end up going back to my favourite spots, plus I doubt I’ll ever keep up with the expansion and addition of new eateries, but I can dream, hey? 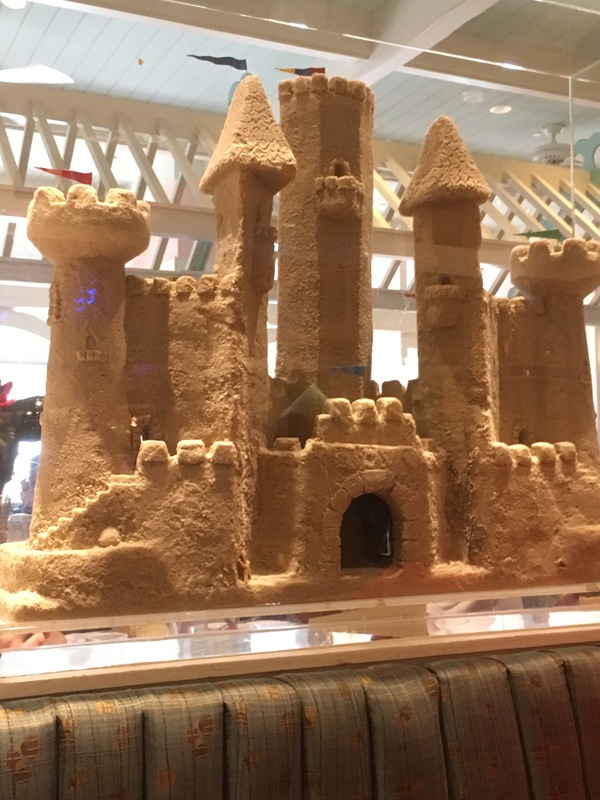 And you don’t even need to be a total Disney buff to know of some of the most talked about dining locations of WDW; places like Be Our Guest and Cinderella’s Royal Table are so iconic that I defy anyone who wouldn’t want to take a trip to these magical places. But are they the best? I must admit, when I used to think of a good place to eat in Disney’s Grand Floridian Resort, my mind always used to jump to 1900 Park Fare. I’ve never eaten there before myself, but I see lots of people going there all the time, although I have heard some mixed reviews. Instead, I’ve always opted for GFC, and I’ve had both breakfast and dinner there, both of which have blown me away. Sure, you don’t have the character element that 1900 Park Fare gives, but the menu is absolutely flawless in my opinion, and if you’re not on the dining plan, its actually one of the most reasonably priced table service meals I’ve ever seen – our dinner there should have cost around $65 plus gratuity for the two of us (main and dessert), and when I had breakfast there it would have been only $41 for two of us. 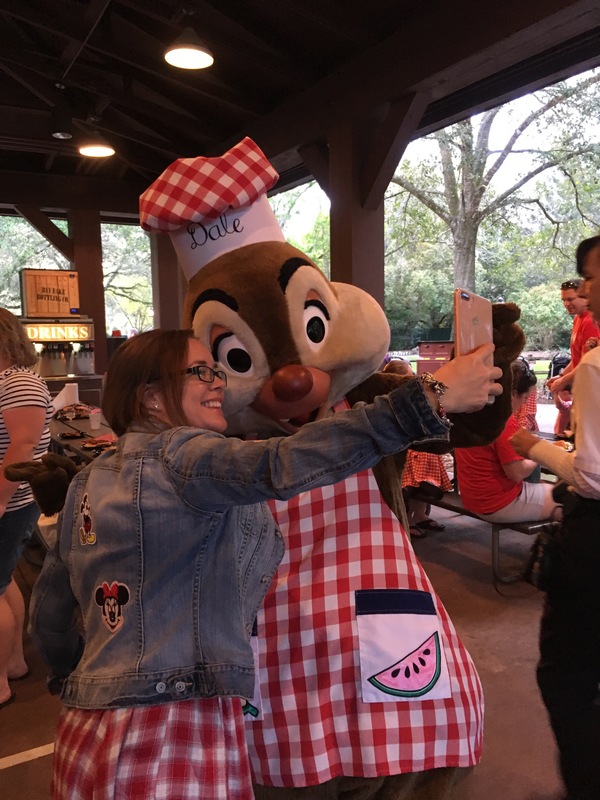 Again, I’ve never actually done Hoop de Doo, but having had the BEST time at Mickey’s Backyard BBQ, I’m in no rush to switch. Both cost the same both in cash and dining credits, both are unlimited buffets which included beer and wine for over 21s, and both have musical entertainment but Mickey’s Backyard has the added bonus of character meets and the opportunity to get up and get involved in the dancing with Mickey and the gang, and I don’t think I’ve ever had a night of more fun on Disney property. 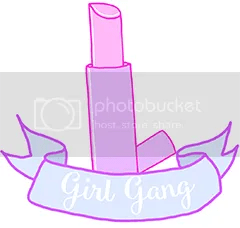 I’ve got a full review here. I was actually really surprised by the lunch we had here back in November – I had booked it because I wanted to try somewhere new, and then when we looked at the menu both Matthew and I felt a little meh about the offerings, but when the food actually arrived it was amazing! Yes, its a Jungle Cruise themed restaurant so there’s puns flying everywhere, but its also got a real Joe Rohde vibe to the place and the cast members were all really lovey, plus it was pretty quiet when we went! I feel like I rarely hear people talking about restaurants in Animal Kingdom, so this may not be as underrated as I think it is, but absolutely rate this place. Now I haven’t been since 2014, so there may have been some changes but my whole family were blown away by the food, which not only catered for my picky-eating cousins (who at the time went as young as 5) but also for the adventurous adults in the group. Its a buffet – bonus – and although we had no idea when we booked it, its also a character meal! 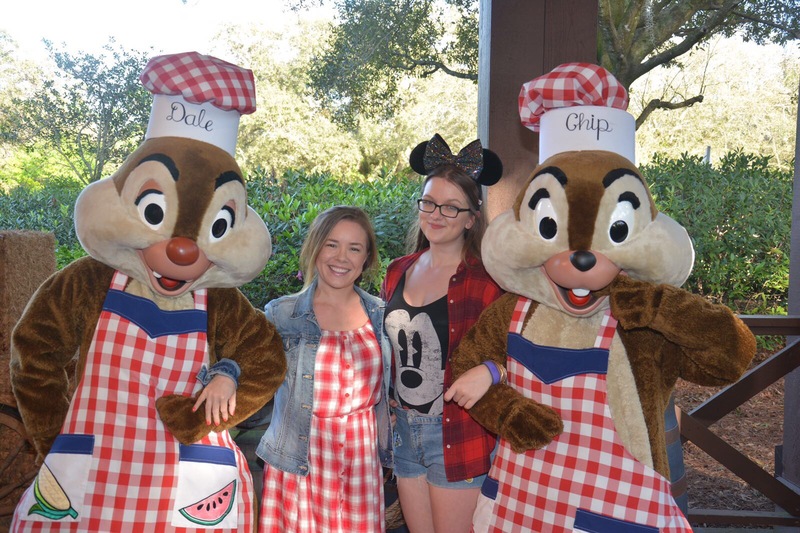 If you ever need to make your dining credits go further, or need good value for money on your meals while in Animal Kingdom, this is the place you need to go – one meal could easily feed 2-3 people with the portion sizes you get! Also, if you want a decent view of Rivers of Light without queuing or paying for the dinner packages, grab your food from here early on and head down to the seating area on the edge of the water. Sure, you’re a little further away from the main seats, but you still get a great view! This may not be underrated exactly, but if you’ve heard that its good, then that’s wrong because its AMAZING. Hands down, this is probably the best quick service meal I have ever had. Last Animal Kingdom place, I promise! If you’re a fan of the table service restaurant, but maybe you aren’t on the dining plan, I’m gonna share a secret with you: the honey chicken that you get in the restaurant for $18.99 is identical to the quick service alternative at $10.99, its just in a plastic container rather than served on a proper plate. This is also a good place to grab breakfast if you’ve run to Expedition Everest at park opening rather than joining the 3 hour queue for Flights of Passage..
Now this may be out of date as I’ve heard rumours that PVH is changing/has changed its offering, but this was always one of my favourite places to grab lunch when in Magic Kingdom. The flatbreads make a wonderful alternative to the normal doughy pizza bases you get in most quick service places and there’s always a tonne of seating available, plus I like waving to the Its a Small World boats as they pass below the window! What restaurants do you think don’t get enough attention? Be Our Guest – Which Meal Is Best? Be Our Guest Restaurant is one of the most popular dining spots in Walt Disney World’s Magic Kingdom, and tomorrow actually marks 5 years since the Beast’s castle opened its doors to guests. Situated in Fantasyland, the restaurant opens for breakfast, lunch and dinner, and each meal offers guests a different dining experience. I recently ticked breakfast off the list of meals I’ve had here, so now I’ve done the set, here’s the low-down on what each meal offers! 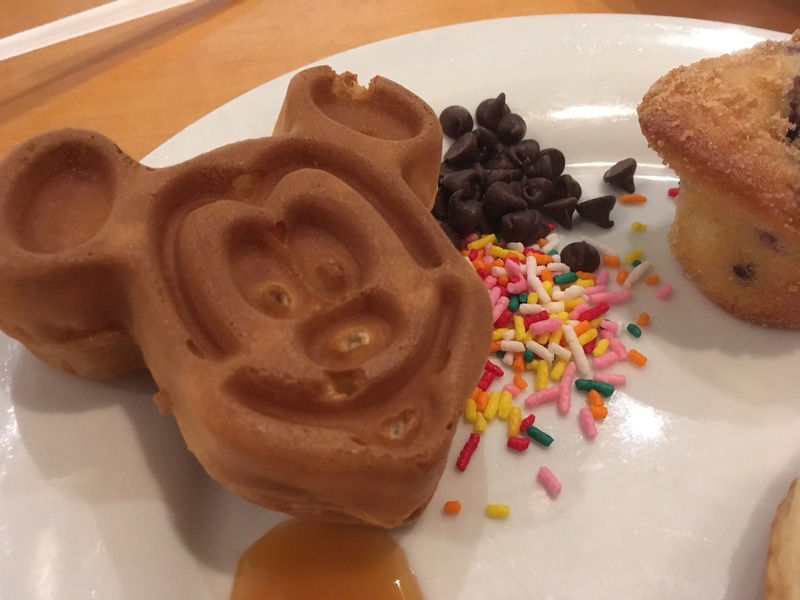 BOG is one of the three restaurants in Magic Kingdom that opens for breakfast at 8am, meaning that if you can get a reservation then you get early access to the park, and the perks that come with that AKA empty Main Street and castle photos! 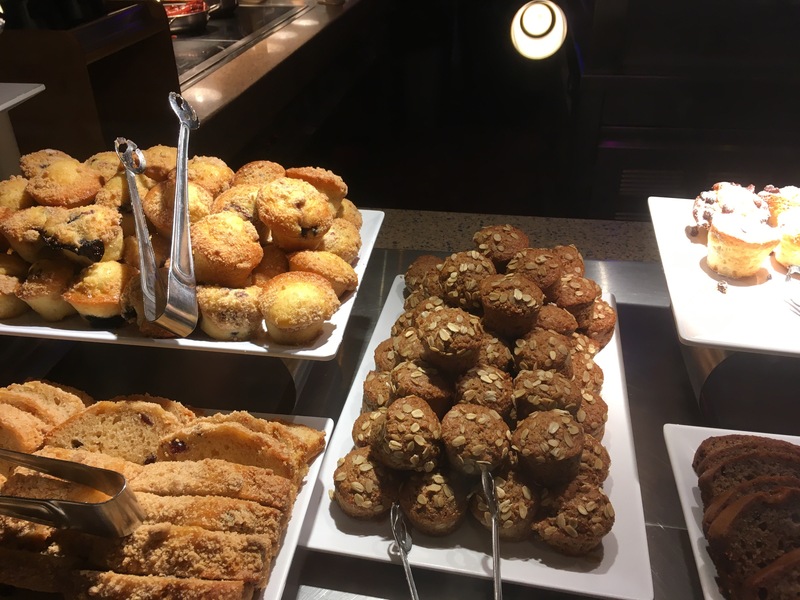 Now don’t let the word reservation fool you – while advanced reservations are usually for table service meals, breakfast is actually quick service, so a worthwhile use of a QS credit if you’re on the dining plan! That said, however, while you do visit a counter to pay for your meal, the food is brought directly to you at your table. And to add more magic to the experience, you can actually pre-order your food on the Walt Disney World website so that you don’t have to even worry about deciding what to eat on the day! As for the food.. This is the Croque Madame, which was one of the best breakfasts I’ve ever had in WDW, but there are a few options from classic breakfast dishes to sweet options, and every table also gets a selection of fruit and assorted pastries to tuck into as well! If you’re not on the dining plan, entrees are $25. Lunch is also a quick service meal, but as with breakfast its highly recommended that you get a reservation, but if you can’t snag one, try to get to the restaurant for when it opens and you stand a good chance of a minimal wait! Again, while being technically classified as a counter service, you order at a booth but the food is brought to you wherever you choose to sit, whether that’s in the West Wing, the Ballroom or the Gallery. The menu is primarily sandwiches and salads, but there are some soup and other veggie options. I tend to stick to the Croque Monsieur, which is basically a ham and cheese toastie but it comes with a good helping of fries and definitely worth a quick service credit! Entrees at lunch are all around the $17 mark. I did dinner for the first time here in February this year. Dinner is table service, and as such guests receive a bit more of a magical experience, including each party being given a Lumiere to light their way to the table. The restaurant is a little more packed in during dinner (or at least it felt like it the one time I was there!) so it can be a bit louder. The food is also a lot fancier, which you’d certainly hope for with a table service meal. 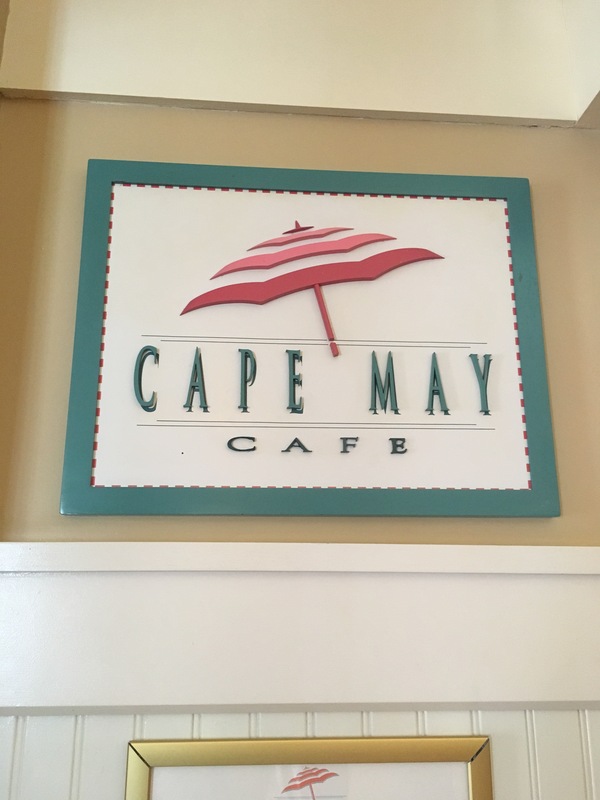 I really enjoyed the food – I mean when do I not? 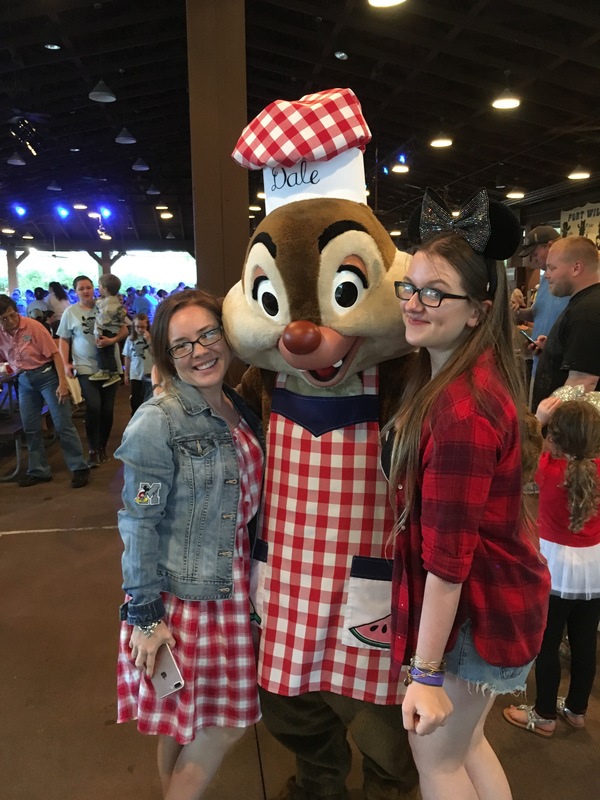 – but compared to other amazing meals I’ve had in WDW it was average, so personally I don’t think I’d do dinner here again if I wasn’t on the dining plan. That said though, once you finish your meal you get to experience the other magical moment that having dinner here gets you, and that’s meeting the Beast himself! Dinner entrees range from $22-36, appetizers are $10-15 and desserts are $5. 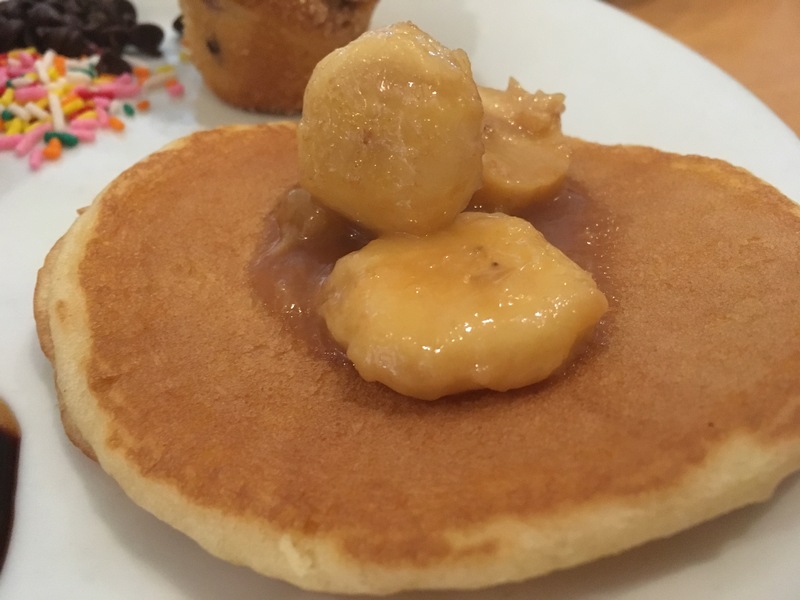 With it being such a popular destination, the restaurant can be pretty noisy, especially during the quick service mealtimes, but if you get breakfast early it can be quite quiet, depending on the time of year. The restaurant is also well set up with plenty of different table sizes, including big round tables that can fit a party of 10. What I cannot fault about the restaurant in any way is the decor, so be sure to explore each of the three rooms of the restaurant, including seeing the Enchanted Rose in the West Wing! My favourite room is the Grand Ballroom, and I love watching the snow fall outside the window. Whatever meal you choose, you’re in for a magical meal and its an absolute must for any Beauty and the Beast fans! 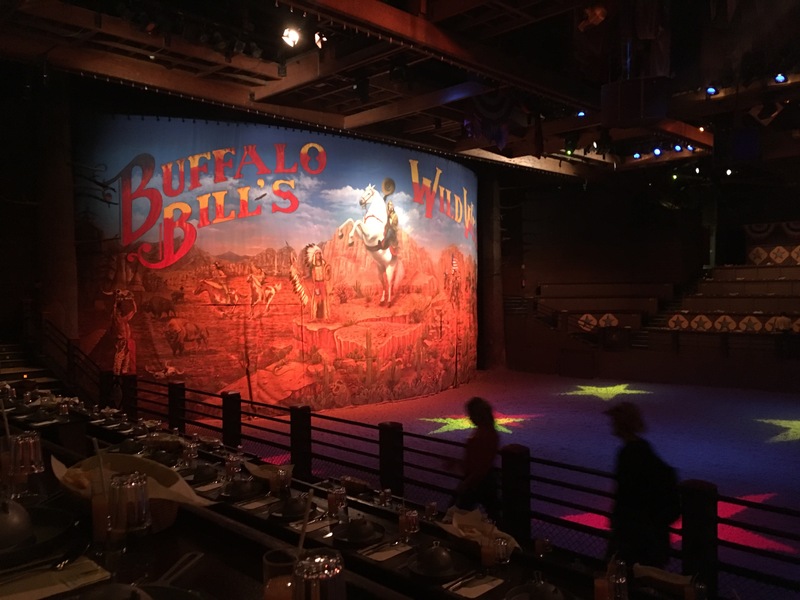 On our last trip to Disneyland Paris, the family and I decided to try something we’ve never done before, and as we were staying at Hotel Cheyenne and the cowboy feel was everywhere, we thought we’d give Buffalo Bill’s Wild West Show a try! 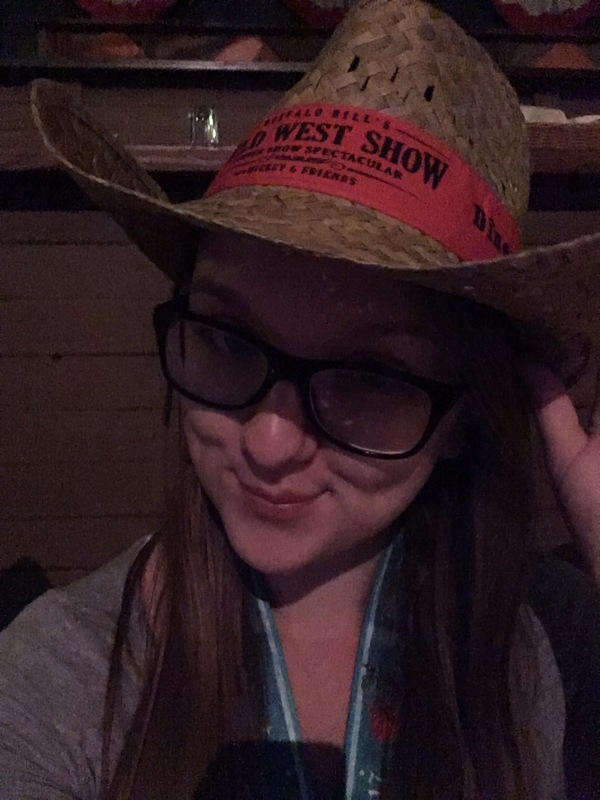 We went to the earlier show, so arrived at about 6.15 and were presented with our seat tickets and cowboy hats before going through to the bar area, where a live band were performing country music favourites – even Goofy made a special appearance! When the show was about to begin, guests were invited to make their way into the show arena. We were in the red section, so we were sat on the left side of the arena, and as we had category 2 tickets we were seated in the third row, but the view was great so I don’t imagine you get it much better by paying the extra for category 1. The seating is done in a row of benches, and we were lucky to get in first so we were right on the end of the row, but there wasn’t any room to get passed people so other people were having to climb down into the seating, which was a bit of a faff. 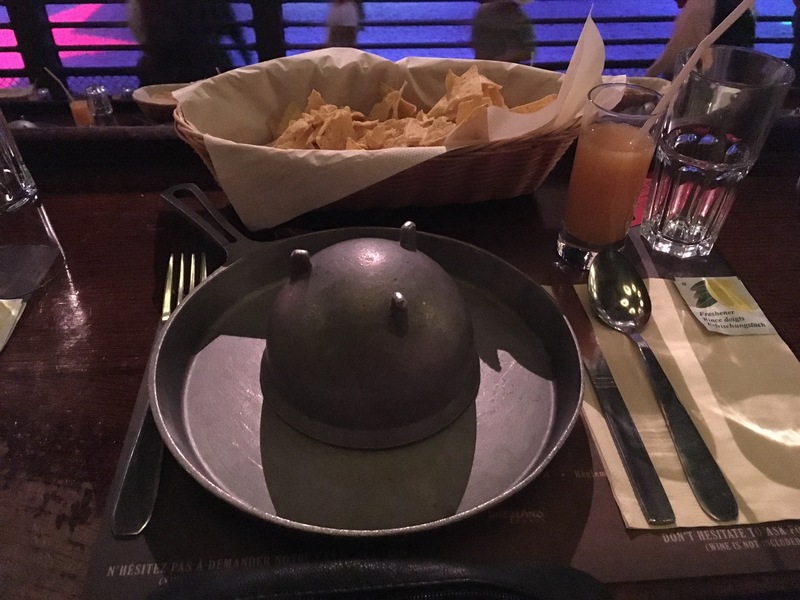 The benches were laid with all the crockery ready to go, and there were several baskets of tortilla chips spread along the row, but it was a little unclear what the protocol for food was going to be so we weren’t sure if we should be diving in or saving ourselves. The servers came along with jugs of drinks, and the options were water, coke or beer and these options were unlimited as part of the meal, but if you wanted anything else you could go to the bar and order drinks separately. Once the show started, the food also started being served, and first up there was a course of chilli with cornbread, then once that had been cleared away there was chicken, ribs, sausages and potato wedges, and the portion sizes were huge so we definitely weren’t left wanting! If you had any room left at the end of all that, dessert was an apple crumble with ice-cream and there was coffee available too. The show itself was bizarre and excellent at the same time! 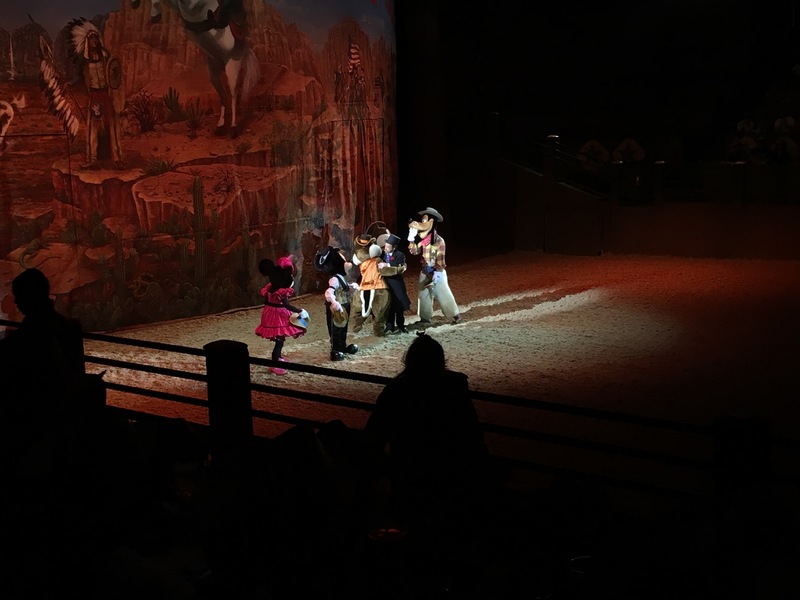 It was a combination of cowboy stunts such as trick-roping and cow-hearding (yes, there were real cows involved) and also skits and sketches, plus more live music, oh, and I did I mention that Mickey and the gang were there?! 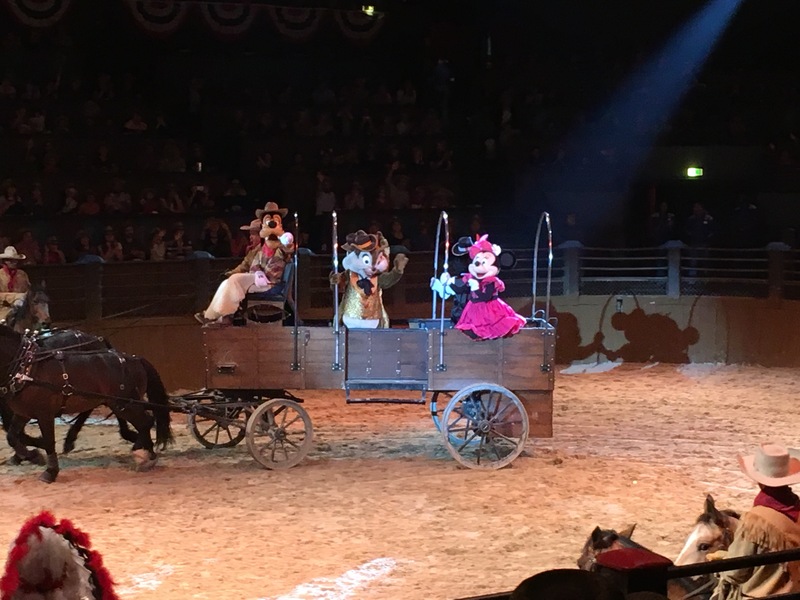 As well as the real cowboys and performers, Mickey, Minnie, Goofy and the chipmunks took part in the fun, they were dressed for the part too! The show also featured some native American scenes, so the whole frontier was represented. The second half of the show was done as a sort of tournament; each colour section had cowboys and indians representing them as they took part in various contests, and the audience was encouraged to bang the benches, cutlery and plates while cheering on the contestants which was a lot of fun, and there were also a few opportunities for audience participation. Overall, it was a fun evening, and I’m definitely glad we did it but I’m not sure if I’d rush to go back. The food was great and the show was entertaining but I imagine it would be the same every time and I think that the novelty would wear off quickly. On a side note, I also have no idea if there are any vegetarian options available as I didn’t see any alternatives dishes being served and about 80% of the food was meat, so worth bearing in mind if you are a veggie! You do get to keep the hat though!